By the time a panel of judges at the U.S. Patent and Trademark Office gets around to deciding who owns the biggest biotechnology innovation of the century, CRISPR-Cas9 may have already lost its heavyweight title as the most precise tool for genetic engineering. In the bitter patent battle between the Broad Institute and U.C. Berkeley that reached a courtroom climax last month, both institutions are duking it out for the right to claim that they invented CRISPR-Cas9, along with the right to reap millions and millions of dollars for licensing their discovery. The patent battle has temporarily slowed scientific research that makes use of CRISPR, in addition to resurfacing a timeworn argument over the place of patents in academic science. But it’s unlikely that any outcome will slow the tide of scientific progress in the longterm. That’s because while CRISPR-Cas9 may still be the buzziest way to edit a genome, a slew of recent discoveries threaten to unseat it as the most efficient. In short: CRISPR-Cas9 is no longer the only game in town. CRISPR is a much-hyped genetic engineering technology that hijacks the immune defense of bacteria in order to cut and replace particular stretches of DNA. Although often shortened to CRISPR, it’s actually a two-part system that includes a collection of DNA sequences that make up the CRISPR system and an enzyme that does the actual editing, delivering that DNA to the desired location. The patent battle, which is awaiting a decision by judges, involves the first CRISPR enzyme ever successfully used to edit mammalian genes, Cas9. It’s not a stretch to say that CRISPR will probably change the world. Already it has shown the potential to accomplish feats such as eliminating deadly diseases and protecting natural habitats. But since scientists around the world have already discovered other CRISPR enzymes, who gets credit for the biggest biotechnology innovation of the century may not actually matter all that much. While CRISPR-Cas9 is often heralded for making gene-editing as simple as “cutting and pasting,” the reality is that it’s nowhere near that precise—and so scientists have gone hunting for alternatives to Cas9. Along the way, they’ve found a few contenders. In 2015, the Broad Institute announced a second CRISPR system, CRISPR-Cpf1, that some suspect may be superior to CRISPR-Cas9 because it is a smaller, simpler enzyme. 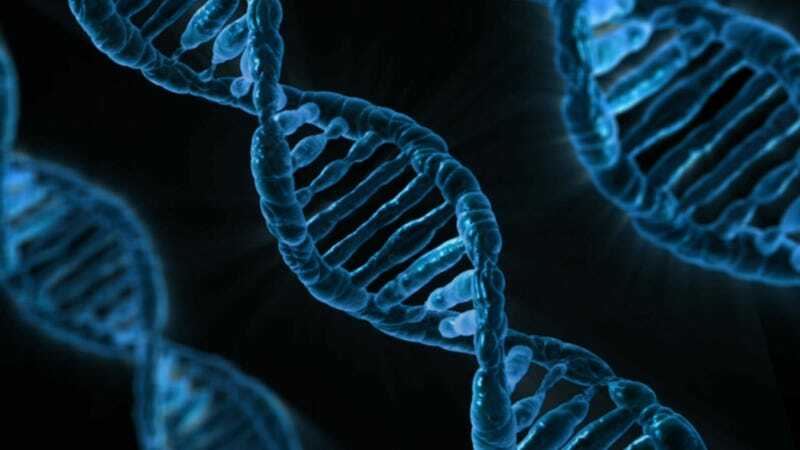 In May, Chinese researchers published a controversial paper on NgAgo, an entirely new system that they said can also be used to edit mammalian DNA. In June, researchers from several universities announced the discovery of C2c2, a CRISPR enzyme that targets RNA, rather than DNA. And just before Christmas, researchers at Berkeley announced the discovery of two new CRISPR/Cas systems, CRISPR-CasX and CRISPR-CasY. Not to mention that there are a host of other ways to edit a genome. That’s a whole lot of potential alternatives to CRISPR-Cas9. Kevin Noonan, a Chicago patent lawyer with the firm McDonnell, Boehnen, Hulbert & Berghoff, said that the battle over stem cell research is a good bellwether for how the CRISPR patent drama will play out. While a high-profile patent dispute had some worried that stem cell research would stall, in part by requiring companies and some academics to pay licensing fees to use cutting-edge stem cell technology, Noonan said so far that has not been the case. This is not to say that the CRISPR patent battle doesn’t matter. While the outcome may not wind up impeding academic research in the realm of genetic engineering, it does put front and center the question of whether the patenting process helps or hurts science in the end. In theory, patents are supposed to encourage scientific discovery by recognizing companies and universities for their accomplishments and allowing them to profit off of them to fund further research. But that’s not always how it works out. In rare instances, such as when Myriad Genetics used its patents for BRCA genes to halt breast cancer research, patents have indeed stymied scientific progress. In 2000, in a survey of more than 1,200 US geneticists, half of those scientists noted that patents related to genetic testing had limited their research. Not to mention that it can be difficult to suss out what a “discovery” really is and who is responsible for it. In the CRISPR case, for example, it’s not debated that the Berkeley researchers announced their findings first. But the Broad Institute went a step further, describing how it might be used to edit complex cells. For these reasons, in recent years more and more scientists have begun critique the use of patents, arguing instead for a scientific process that is more open and collaborative. “Neither Berkeley nor MIT should have patents on CRISPR, since it is a disservice to science and the public for academic scientists to ever claim intellectual property in their work,” UC Berkeley biologist Michael Eisen, who would gain resources were Berkeley to win the CRISPR-Cas9 patent fight, wrote on his blog. Bob Cook-Deegan, a bioethicist at Arizona State University, told me that the wink-and-a-nod custom of simply not enforcing patents for academic researchers is simply not enough to protect important discoveries. And until it’s decided, the patent battle has already had some short term effects. Both parties had already licensed their technology to several firms, and that research is on hold until the patent kerfuffle is cleared up, forcing companies to sit on technology they may or may not own the rights to. And while other CRISPR techniques may wind up being better or more efficient, for now those advancements closest to actually becoming therapies that might, for instance, cure human illness, all rely on Cas9.